Can we have atleast 1 ovr without boundry..??????? How much #NewZealand will score ? Anwar Ali taken out of the atttack straight away. Imad Wasim to bowl the third over. 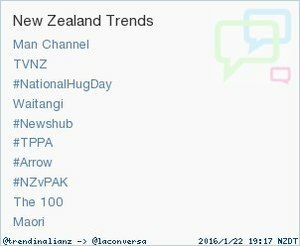 #NZvPak Game on! Mohammad Amir starts from the other end - tough job for him to make sure this over NZ stay quiet. #NZvPak 2 overs gone and NZ get to 23/0 in no time! Imad Wasim comes on. 2) Admire the shots by Guptill. Partnership of 50 in just 25 balls! Well played Guptill and Williamson. NZ - 50/0 in 4.1 overs. Runs given by Amir in two overs is less than what Anwar and Wasim gave in their single individual overs. fahd_masood Lets make the match more interesting! "@TheRealPCB : New Zealand: 46/0 (4 ov). 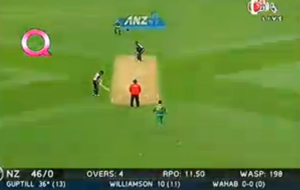 Live Updates pcb.com.pk/live/match/283… #NZvPAK "